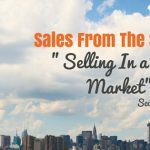 Sales has a bad rap among many people, that’s a fact, even in the MBA world. And what many MBA folks probably don’t know is that they can actually build a solid career in sales. That’s why I’m bringing Dalan Rohrer on the show today to talk about the article he’s written on LinkedIn about the Four Reasons Why MBAs Should Go Into Sales, where he highlights the reasons why sales can actually be an incredibly rewarding job and career. Dalan is currently studying for his MBA at BYU and will be graduating soon. He has accepted a full-time offer to work for Microsoft particularly landing a sales position. He also has a background in retail sales where he worked at Target for almost four years. So what are the four reasons why MBAs should go into sales? MBA folks are excited to do heavy thinking and strategizing-type of work so a lot of MBAs are geared towards a consulting career. With B2B sales, you’re doing the same type of work where over and over again, your goal is to solve problems in a better way. It’s not about pitching the product but helping the customers solve a tough problem. That in itself is consulting where you span across industries and different problems so you get to practice flexing your strategic muscles. MBA people are overzealous, type A big dreamers and many of them see themselves in a leadership position down the road so they take jobs that believe will set them up for leading organizations. In many sales companies, there is a lack of strategic-minded people with leadership potential that really understand what’s happening when a customer meets the sales team. Customers are hungry for these professionals who understand their challenges and sales is a great way to build experience you need to lead an organization. In sales, you spend many of your days visiting incredible companies and working with some of the highest leaders of those companies, helping them solve problems and working with them and they experience you and everything that you bring to the table. Eventually, you build a professional network of people who trust you and understand how you work, even people who can be your mentors or hiring managers. Money cannot buy happiness. But so many MBAs take jobs because of the pay and sales is one of the ways you can be better paid. You work hard and well but you’re not expected to work for so many hours. In sales, there is no salary cap. You can have an unlimited salary cap as long as you push yourself. 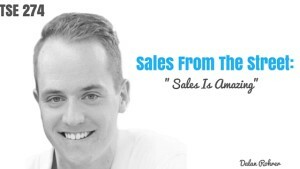 If you think sales is a dirty word and think that everything about sales is disgusting and atrocious, then it’s not true. There are a lot of incredible sales jobs and you are only limiting yourself unnecessarily if you don’t consider them. Connect with Dalan on LinkedIn and Twitter @DalanRohrer.